Mazel Tov! 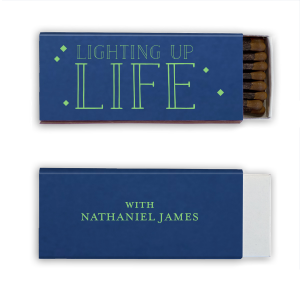 Shine the light on your child’s milestone moment with personalized bar/bat mitzvah cigar matchboxes. Design your custom bar/bat mitzvah cigar matchboxes to coordinate with your party theme with our customizer. You’ll love the extra touch of personalization that your custom designed bar/bat mitzvah cigar matchboxes add! 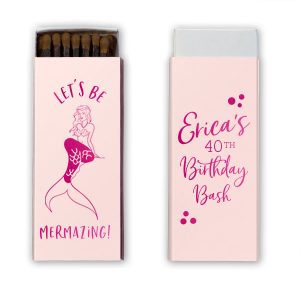 Give your party an extra spark of personalization with For Your Party’s customized bar/bat mitzvah cigar matchboxes! Sulfur-free for the highest quality smoke, your personalized bar/bat mitzvah cigar matchboxes will be a much appreciated party favor. 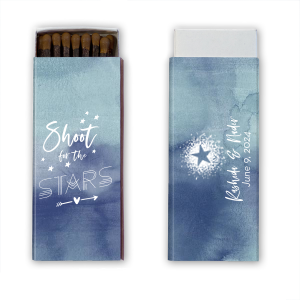 Design your custom bar/bat mitzvah cigar matchboxes to complement your party theme and colors by browsing our galleries of design ideas and endless color combinations. Your perfect personalized bar/bat mitzvah cigar matchboxes are at your fingertips! Your guests will truly appreciate such a high quality and useful party favor as they use their custom bar/bat mitzvah cigar matchboxes in days to come.